Where does the Scala logo come from? The name "Scala" means staircase in Italian. 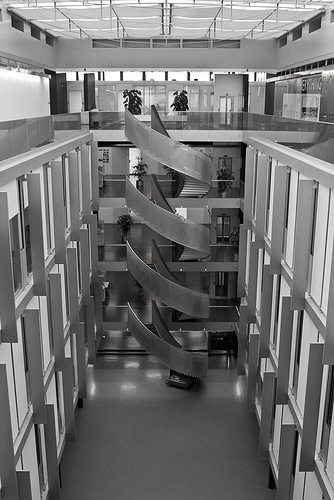 In one of the buildings of EPFL, where the Scala language was developed, there is a modern staircase with a rather interesting shape, which was the inspiration for our logo. You can see it depicted below in a picture taken by Miles Sabin (available  under a Creative Commons license).